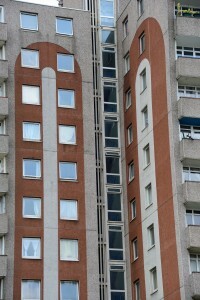 The regulation of social housing formally passed to the Homes and Communities Agency (HCA) after the closure of the Tenant Services Authority (TSA) at the end of March 2012. A government review of social housing regulation concluded that the new regulator should focus primarily on the economic regulation of registered housing providers, ensuring their long-term financial viability. The HCA will also set the consumer standards that housing providers must meet. The review also recommended that co-regulation should be “retained and enhanced”, with landlords responsible for the service they provide and held accountable by their tenants. The APH Board is responsible for ensuring our organisation meets the economic standards. The HCA has a proactive role in relation to economic standards and will engage with providers to obtain assurance that they are being met in terms of governance and financial viability. They will also ensure providers of social housing will deliver a comprehensive and strategic approach to achieving value for money in meeting their organisation’s objectives. The APH Board must maintain a robust assessment of the performance of all our assets and resources. APH must ensure we are managing our resources economically, efficiently and effectively to provide quality services and homes, and planning for and delivering on-going improvements in value for money. The following standards apply to all registered providers. The HCA role is limited to setting the consumer standards and intervening only where failure of the standard could lead to risk of serious harm to tenants as described in the HCA’s serious detriment test. 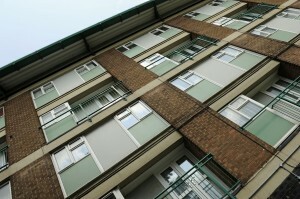 The standards are set out in The Regulatory Framework For Social Housing In England From April 2012. Ashton Pioneer Homes will provide all our customers with a Local Service Offer annually. This will mirror the framework used by the HCA standards but we will be asking local residents what they expect to see at a local level in terms of these standards. Our customers will receive a new Local Offer each and every year in April. We will also produce an Annual Report in October each year to give to all customers and stakeholders. Tenants do not feel that they have a relationship with the Board and that they do not understand the role of the Board. Tenants are elected to the Board and most tenants are aware of this but there is a concern that tenants are elected because of popularity not because they have the necessary skills.